There are three kinds of Google Labs projects: those that will continue to exist as standalone products, those that will become features and those that will be discontinued. Google Labs will no longer exist and it's sad to see so many useful services disappear. Google Scribe will continue to exist as a Blogger feature, but you'll only find it in Blogger in Draft right now. Scribe will probably be added to Google Docs, Gmail and other Google services. Google Squared will be discontinued next month, but the technology will continue to be used in Google Search. "As part of phasing out of Google Labs, Google Squared will be shut down on September 5, 2011. Any saved Squares will be deleted. We will continue to use Google Squared technology to improve search, as we have already done with question answering and related searches. We hope that you have enjoyed using Google Squared as much as we enjoyed building it," explains Google. Another cool service that will be shut down is Image Swirl, a clever way to organize image search results and find related images. "We will continue research on innovative methods to organize and navigate images as part of Google Images," promises Google. App Inventor, the service that allowed you to quickly build simple Android apps, will be discontinued as a Google product and will be open sourced. "Because of App Inventor's success in the education space, we are exploring opportunities to support the educational use of App Inventor on an open source platform. As a result of these changes App Inventor will be available through the end of the year but users should expect the current App Inventor URL, appinventor.googlelabs.com, to change sometime in the next 90 days." Google still has to decide if Code Search, Google Mars, Google Sets, Google Moderator, Shared Spaces, Aardvark, Google Body, Google Correlate, Google Transliterate or City Tours will continue to exist. I suspect that most services will disappear or they'll be open sourced. Google Labs was the place where you could find small tools that solved interesting problems. Google Sets will never be a full-fledged Google service, but it's a very useful tool for generating lists of words from a category. While the Google Sets technology will continue to be used in Google Search, it's likely that Google Sets will no longer exist. Google will continue to launch experimental features, like Hotel Finder, but they'll be integrated into bigger services instead of stagnating in Google Labs. I hope Google does not discontinue the Google Transliterate. It is super useful in writing scripts for which keyboards (even virtual) are not easily available, eg., Indic languages like Bengali, Hindi etc. What about Google Listen? It is an Android podcast app that is rather unique in how it integrates with Google Reader. It would be a great product if they finish it with one last round of bug fixes. Bah! The reasoning behind getting rid of Labs is bland. I would have much rather seen that it is moving inside of Google+. Don't destroy Codesearch!!! It's totally vital to find code snippets, when lack of oficiall manuals/specifications. I personally think this is a big mistake shutting down Google labs. Through I hope each of Google services will get a lab section of there own. Or something is put in place to replace it. I suspect most of those will still exists in some form or another. Google Body was just a way for google to show the power WebGL. May be expect to be move to the chrome experiments sites. Through it is a brilliant way to present information, which is the same for Mars. 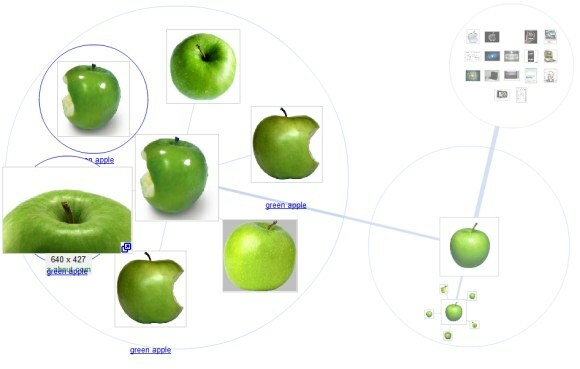 Image Swirl could be brilliant in Google + and fits in with the idea of creating more interesting user interfaces. Google Moderator is still be use by the Google+ team. It does not really make sense for them to be using it if they plan to shut it down in the near future. Please do keep or open source (with some startup funding) Google Code Search. I use this several times a week. I'm pretty sure transliterate will remain as the Script Converter description reads "Script converter will be discontinued, please use Transliterate for transliteration." Oh noes. I have a few squares, some of which I linked publicly (framework comparisons linked to StackOverflow). I *hate* seeing my work deleted. Automigrating the stuff to google docs would be kind. I'm also wondering about Google Listen. I just discovered it, literally this week, having just bought my first Android phone less than a month ago. when i'm there, it is like being in a time capsule whereby we can see live project being build there..really interesting..